Andiamo. The largest Italian event of its kind in America, Festa Italiana, runs July 21-23 at Maier Festival Park. Co-president Dean Cannestra suggests starting off your Festa with wine. So grab a glass, or even a whole case, of wine from Italian vineyards sold at regional wine tents. Taste wines from across the country like Chianti, Montepulciano and Pinot Grigio. The oldest lakefront ethnic festival in Milwaukee has packed its entertainment schedule for its 40th anniversary with music for all. Milwaukee band BoDeans headlines the festival at 9 p.m. Friday. The Gin Blossoms will headline at 9 p.m. Saturday. “America’s Got Talent” star Sal Valentinetti will perform Frank Sinatra hits on Saturday, too. The Sicilian Tenors and Anna Calemme will perform Italian favorites all three days. 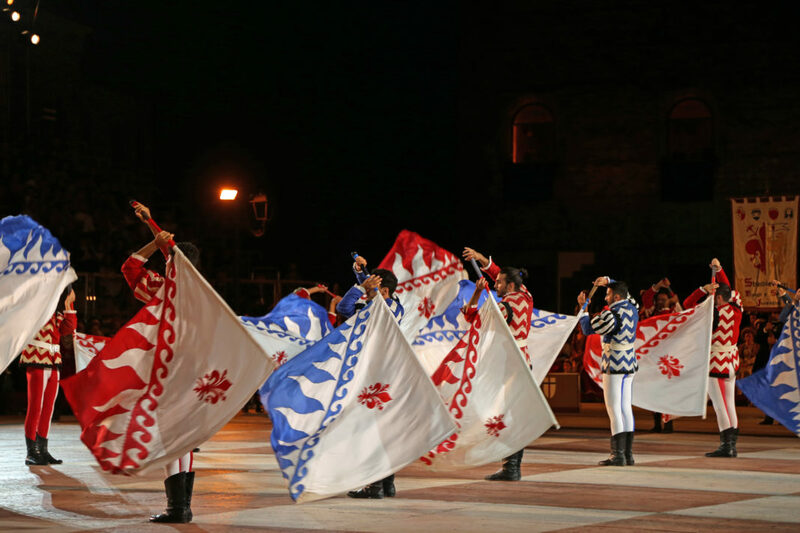 Each day Flag-Throwers from Florence will celebrate the tradition of flag throwers accompanying soldiers into battle with banner waves that signal danger and triumph. Eat pizza, pasta and gelato from nearly 30 food vendors including Glorioso’s Italian Market, Peter Sciortino Bakery and Carini’s La Conca d’Oro. New food items include fried ravioli, Sicilian steak sandwich, and sfingi (Sicilian doughnuts) with amaretto cream sauce. Participate, or just watch, the Cannoli Eating Contest at 3:30 p.m. Saturday. In addition to daily cooking demonstrations, celebrity chef Rossella Rago, host of “Cooking with Nonna,” and her grandmother will share how to make authentic Italian cuisine Saturday and Sunday. Read more at the Milwaukee Journal Sentinel.